A second war. A second chance. Assigned to a convalescent ward at Walter Reed’s Army Medical Center, Charlotte discovers her passion lies, not in the home, but in tending to the wounds of injured soldiers, all of whom remind her of Nick. Here she is drawn to a mysterious soldier, Lieutenant William Kendrick, whose jet was shot down in the skies over Germany. As Will’s physical and psychological wounds begin to heal, he and Charlotte develop a friendship that will bind them together in ways they never imagined. 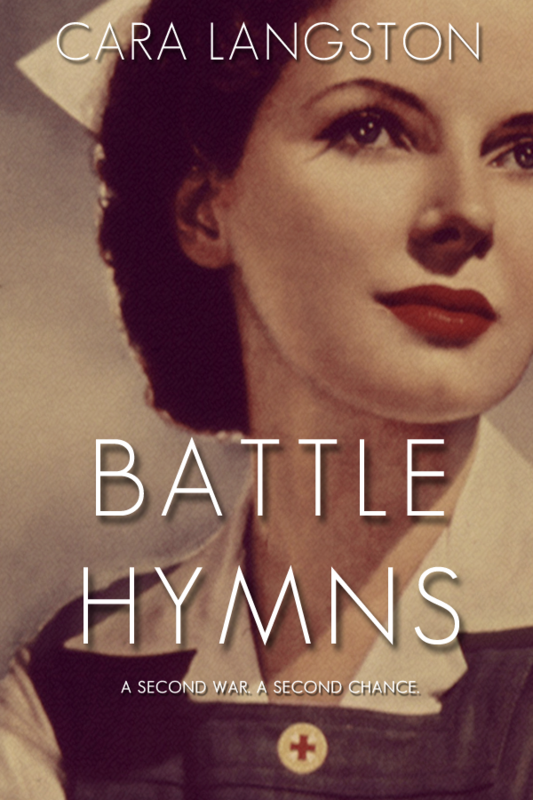 Battle Hymns is a poignant story of love, survival, and redemption set against the backdrop of the Second World War. For more information please visit Cara Langston's website. You can also connect with her on Facebook, Twitter, Goodreads, and Pinterest. To win a cop of Battle Hymns (print or Ebook), please complete the form below. Giveaway is open to US/Canada and ends on June 12th. This one sounds so good! I love books set during the World Wars! Just my type of book. I collect old books and read one written in the 1940's which takes place in DC just prior to WWII (it ends right after Pearl Harbor). It was a great window into the mood and attitudes of the time and place. It will be nice to compare the tone of BATTLE HYMS and see it from a different character's perspective. Red Cross volunteers did and do serve in important capacities at times like this. This book sounds wonderful! Thanks for bringing it to my attention and for the chance to win! I enjoy WWII historical fiction. This book sounds great, and I also enjoyed the author profile, the references to American girl and the Ann Rinaldi novels. I really enjoy reading books about the war my father served in. It sounds like a great read. Thanks for this chance to win it. Thanks for the giveaway. Battle Hymns sounds great! This sounds like a truly delightful and heart-warming story. I'm looking forward to reading it. Thanks, too, for the generous giveaway. Charlotte sounds like an interesting character. I do enjoy stories set during WWII.